Norwalk, CT – January 14, 2009—After five years of annual increases in the amount of venture capital funding flowing to health care companies, 2008 marked a sharp departure from that trend. For the year ended December 31, 2008, the health care venture capital market experienced a 28% drop in funding and an 18% drop in deal volume, compared with the year-end totals for 2007. In 2008, health care companies publicly announced 396 venture capital investments totaling $7.0 billion. The quarterly and year-end deal and dollar totals for the past two years appear in the chart below. Medical devices led the health care sectors during 2008, raising 32% of the funding and announcing 30% of the deals, including the largest deal of the year, a $250 million investment by GTCR in Devicor Medical Products, which was started up specifically to acquire medical device companies. The bio sectors followed, with biotechnology companies capturing 22% of both deals and dollars, and biopharmaceutical companies securing 19% of the capital in 17% of the deals. The second largest-deal of the year, a $100 million Series E led by Deerfield Management, was announced by a biotech, Pacific Biosciences, while the third-largest, a $93 million Series B led by Nomura Phase4 Ventures, was announced by a biopharma, OncoMed Pharmaceuticals. Quarterly deal and dollar volume for 2008 is broken out by sector in the chart below. The top health care venture capital firms for the fourth quarter and the year ended December 31, 2008, based on number of investments, are listed in the chart below. Healthcare Corporate Finance News reports weekly on financial events in the fast-paced venture capital, private and public equity, and merger and acquisition markets for health care companies, and provides subscribers with access to a searchable online database of health care venture capital deals. 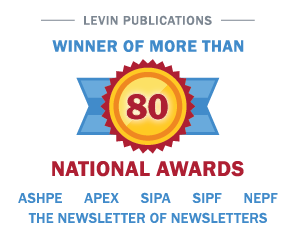 This monthly newsletter and weekly email update is published by Irving Levin Associates, Inc., a leading financial publisher and source of market intelligence since 1948. For more information call 1-800-248-1668.